The width of a slim bar is named the module. There are bars of 1, 2, 3 or 4 modules; equally for the spaces. There are 107 patterns, each is coded with 11 modules including 3 bars and 3 spaces (The STOP pattern have 4 bars). There are 3 tables giving the character or the function affected to each pattern. * Table A contains the capital letters, the digits, the punctuations, some control codes and special codes. * Table B contains capital and lower case letters, the digits, the punctuations and special codes. * Table C contains pairs of digits (Allowing to double the density) and special codes. Quiet zones of at least 10 modules are requested on the left and on the right. There is a START character at the beginning of the code. There are 3 START characters fixing the table used for the start. The code ends with a STOP character. Some special characters (99, 100 & 101) make it possible to pass from one table to an other; the SHIFT character (98) switch the next character between tables A & B. The function codes (FNC1 a FNC4) aren't all defined. 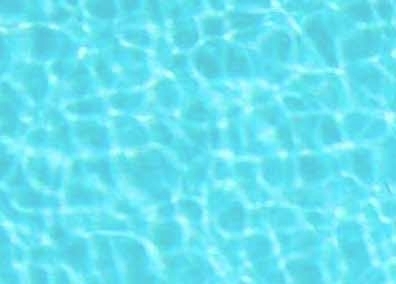 A checksum must be added; its value is calculated by adding up the value of the START then the value of each pattern multiplied by its row; then by taking the remainder of the division of this sum by 103. In the following array a bar module is symbolized by "1" and a space module by "0". The character n�‹ 0 (Space) is obtained with the code 32 or with the code 212 because some programming tools cannot use code 32. 380 / 103 = 3, remainder 71 which is the value of the key. Version 2.00 of the font : The code of characters 95 and following was modified compared to the version 1.00. The encoding function was modified consequently. The graphic method where each bar is "drawn" as a full rectangle. This method enable to compute the width of each bar with a one pixel precision and so we can work with widths which are perfect multiple of the used device pixel. This give us a good accuracy specially if the device have a low density as it's the case with screens and inkjet printers. 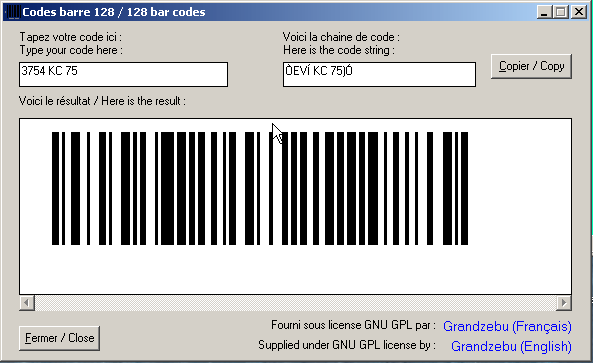 This method require special programming routines and does not allow to make bar codes with a current software. The special font in which each character is replaced by a bar code. This method allow the use of any software like a text processing or a spreadsheet. (For example OpenOffice, the free clone of MSoffice !) The scale settings according to the selected size can bring away small misshaping of the bar drawing. With a laser printer there's no probs. All the found 128 barcodes on the net (Incomplete demonstration font) aren't free, several times expensive, and with uncertain quality; the width module isn't always permanent in the font definition. I've decided consequently to draw entirely a 128 font and to propose it for download. I test it on a laser printer with size 17, what gives a small barcode with a width of about 1,7 mm/car, result : reading at 100% ! On a good inkjet printer, we can go down (He yes !) to the size 15 what give a character width of 1,5mm. The font " code128.ttf "
This font contain the 107 patterns of the code. The START and STOP codes include the margins. One of the three START code, generally START B. As many characters as necessary, special codes makes it possible to pass from one table to an other. An intelligent algorithm will allow to use one or more tables giving the barcode shortest possible. written with Visual Basic 6. This test program does not manage the ASCII control codes, it use the tables B & C with optimization length of the code obtained. The digits are numbered from right to left, then we compute X the sum of even digits and Y the sum of odd digits. I have written a small program allowing to create easily EAN128 codes and holding account of these characteristics. Is it useful for you ?